It is now glaringly indisputable that the Indigenous People of Biafra (IPOB) worldwide under the able and supreme leadership of Mazi Nnamdi Kanu and her rugged and highly enlightened media professionals have succeeded in wholly dismantling the evil propaganda network of the Nigerian authorities and her controlled media outlets. The recent move by the Nigerian government through Information and Communications Ministry, to hire a retinue of foreign media consultants attests to the fact that the Indigenous People of Biafra (IPOB) is not just only unstoppable but a force to be reckoned with in every respect. This is a fallout of the indefensible, blatant and shameless lies and deception previously being churned out by the Information/Communication minister - Alhaji Lai Mohammed, on behalf of his employers to hoodwink the gullible about the IPOB. It must be noted that Biafra is a spirit and an ideology which can never be defeated by any man despite the myriads of arsenals deployed against her by the Nigerian authorities and army of beguiled local or International allies. The combined media outlets of Family Writers Press, Radio Biafra London et cetera, remain essentially undaunted in their professional responsibilities of victoriously waging any media war to it's logical conclusion. While we enthusiastically await the so-called contracted International media organisations, we would like to state unequivocally that the IPOB is graciously wired with unmatchable capability to confront and defeat whatever challenges, regardless of origins. 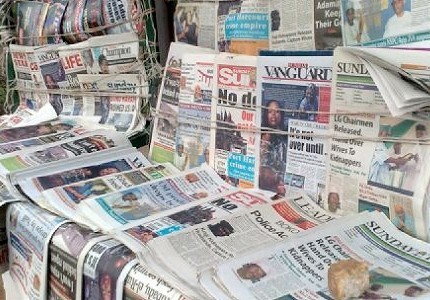 The foregoing therefore throws up the question: what really happened to the array of Nigerian media outlets that where neck-deep into unprofessional practices of supporting the tyrannical policies of Muhammadu Buhari against the legitimate activities of the Indigenous People of Biafra (IPOB)? They unanimously vowed to destroy the IPOB through the publication and dissemination of lies and falsehood. Why, despite their evil propaganda, have they totally lost relevance thereby promoting their employers to opt for foreign media contractors? It is informative to state here that under the highly enlightened crack leadership team of the Indigenous People of Biafra (IPOB) worldwide, loyal to the supreme command of Mazi Nnamdi Kanu, that the days of monopolized and jaundiced journalism whereby all sorts of misleading information are fabricated and dished out for public consumption, are over. Mazi Nnamdi Kanu through his rugged and dogged conquest of the Nigerian state and her media, the mindset of Nigerians have been greatly sanitised to jettison lies and treasure truth. Family Writers Press and all other IPOB affiliate media outlets, wholesomely welcome on board, media groups who choose to pitch their tents with the Nigerian government against us in this unprecedented media battle of crack professional journalism based on established ethics. We just hope they will live to tell the stories of their survival at the end of it all. The Family Writers Press will never mutate in this battle and it must be won. We will keep firing on until the forces bow to our demands for referendum to exit Nigeria and get the sovereignty of our nation - Biafra, uncompromisingly and totally restored. This is our inalienable right as a people as contained in the laws guiding the rights of indigenous people groups. It is an acceptable/legitimate democratic process, the world over. Referendum for freedom and independence is not about war.